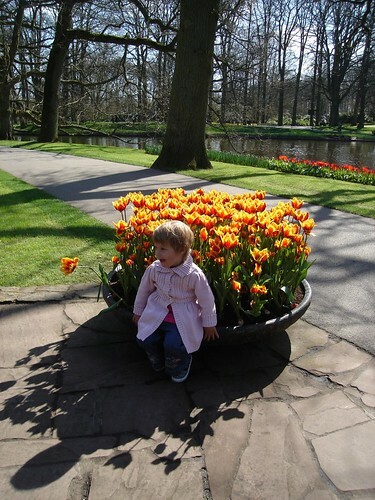 Our last day in Amsterdam saw clear skies and sunshine, so we rugged up and headed out for Keukenhof Gardens. 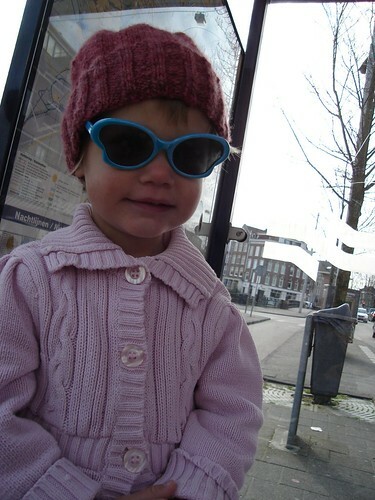 Waiting at the bus stop, this little ensemble caught the eye of a Dutch knitter who asked about Gorgeous Girl’s hat. 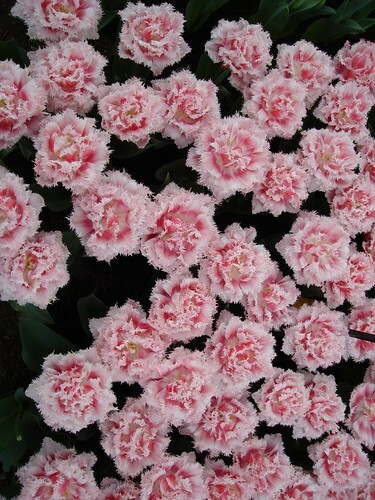 There were lots of magnificent tulips. These were called Queensland, so of course I had to get a shot of them. 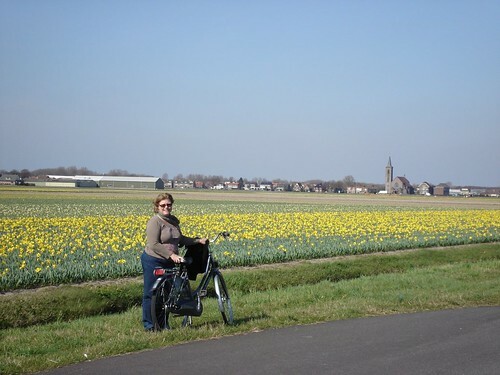 After wandering around the gardens for a few hours, we hired some bikes, and took a bike ride through the bulb fields. This was simply amazing. I got a bit choked up as we were riding, it was so beautiful and, if you had told me 5 years ago that one day I’d ride through the bulb fields in spring I would have laughed you out of the park. It was a great way to end our trip. and the very long flight home. So was the flight home lots of hours, or just “very long”? lol. 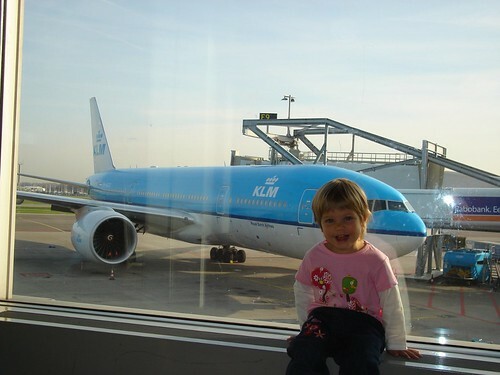 Not sure if I could go flying with the kids just yet! 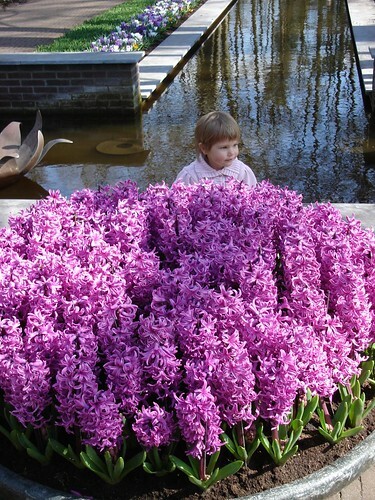 Riding by the fields of flowers sounds just amazing! Fantastic! You were there for the tulips! Lucky you to have made such great memories together!